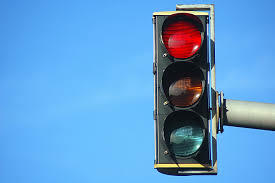 If I see a red light, does that mean the source of that light is speeding away from me? "Of course", says mainstream "science". A redshift occurs whenever a light source moves away from an observer. A special instance of this is the cosmological redshift, which is due to the expansion of the universe, and sufficiently distant light sources (generally more than a few million light years away) show redshift corresponding to the rate of increase in their distance from Earth. Wikipedia does not even bother to mention other causes for redshift. Maybe there aren't any. In the same way there are no causes for light bending in space, except relativity. Refraction happens only on Earth. I would say that red shift is probably mass interactions from Near-infra Red Inert Gases - Electrical Inert gas hydrate dyes - and also other infra-red elements like sulfur - and then white red elements like oxygen. It truly can occur whether a Galaxy is moving toward us or away. This does not happen in space. There is no refraction in space, even if space is full of "nebulae" and "hot gas". In space only relativity bends light. Unless someone can find a mainstream article about refraction in space, after a lazy search I did not find any. Red-shifted means "reduced in frequency". It does not mean "light which is colored red". In the context of the visible light from stars, it means that light is shifted lower towards the more red end of the spectrum. The red traffic light is not a scientific mystery. If we could not see that the traffic light pole is sitting still in relation to us - on Earth, if the traffic light would be very far away, some smart guy could say it's red because it's moving away.